I know what you’re thinking; Déjà vu on the case review? Nope this is not the NZXT Beta being reposted; this is the supposedly classier brother the NZXT Beta EVO. While still a budget case my biggest question is… Is the EVO worth the extra money? Follow me as I look at the newest revision of NZXT Beta promising to offer increased cable management and a revised interior layout. NZXT’s take on the Beta EVO. 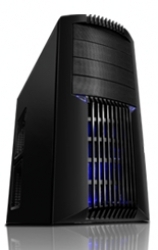 “Announcing the Beta EVO, a sleek, all black value packed mid tower case at a budget price. Beta EVO features advanced cooling performance with support for up to 6 120 mm fans with an option of a 140mm fan at the top. Beta EVO also provides external dual radiator support along with a meshed front panel allowing for enhanced cooling potential.